With nearly a decade at the top of Britain’s most successful Olympic sport, Annie has a proven track record in the cauldron of seven World Championships and two Olympic Games. 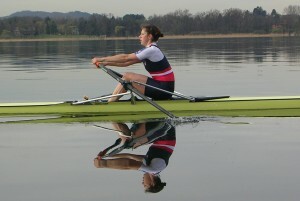 Annie discovered rowing as a typical sport-mad teenager, and it may have remained a hobby had Annie not won a place to study at Cambridge University, which immediately threw her into one of the most rowing-obsessed institutions in the country and allowed her to exploit her passion for the sport. 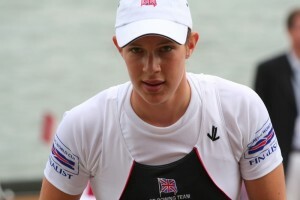 focus on empowering her team-mates, Annie progressed through the ranks of the British Rowing Team despite being one of the smaller and least experienced members of the squad. She leapfrogged bigger and better athletes to become a World Champion for the first time in 2007 and this set the scene for an assault on the Beijing Olympics in 2008, where their crew of four attempted to be the first British women’s rowing team to become Olympic Champions. Leading until the final hundred metres of their final, they were overhauled by the Chinese crew to finish second. Their tears and grief on the podium were beamed by television cameras back to the UK and led to some tough questions when they returned – how can you be so dissatisfied and ungrateful with an Olympic silver medal? The devastation of failing to achieve what the team were capable of forced Annie to re- examine her values, her goals, and her approach. 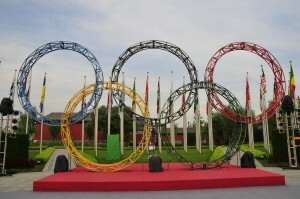 She returned to elite sport for the London Olympiad with a newfound motivation of creating a perfect team performance. Irrespective of the outcome, Annie’s aim was to use every possible strategy to be part of a team that punched far above its weight; was robust, resilient, and would treat any setback as an opportunity to get better. 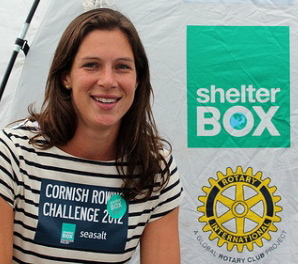 by repeated illness and injury and at one point it was doubtful as to whether she would even go to the London 2012 Olympics; but she battled back to win a seat in the women’s eight, finishing fifth. Annie is a confident and experienced communicator and can present her unique perspective in an engaging manner. She focuses on the areas where the skills required to reach the top in elite sport overlap with those required to succeed in business. From team work and maximizing the potential of those around you, to goal setting, resilience, change management, and delivering under pressure. She is able to share her experience of what makes teams tick and how to create a resilient and high performance culture at work; taking every setback as an opportunity to improve. Her approach is based on the belief that our values and motivations determine how we perform in the workplace. Annie has presented to a number of City law firms and banks on issues around diversity and inclusion, and she is able to explore how working to change values and behaviours within a team can have a measurable impact on outcomes.